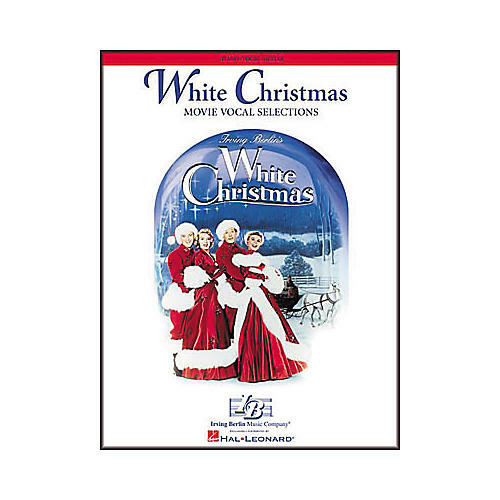 12 vocal selections from the classic 1954 film White Christmas starring Bing Crosby and featuring the beloved music of Irving Berlin. Songs include: The Best Things Happen While You're Dancing; Blue Skies; Count Your Blessings Instead of Sheep; Gee, I Wish I Was Back in the Army; Heat Wave; Love, You Didn't Do Right by Me; Mandy; The Old Man; Sisters; Snow; White Christmas. Also includes a plot synopsis and extensive history of the movie, a listing of credits, and pages of great publicity stills!